Late one night I was “surfing” the channels on my television. I ran across a show titled: “Plastic Surgeries Gone Wrong”. In this particular episode, a women decides she must have a “tummy tuck” and follows through with the surgery. One month later she's a double amputee. Her intestine was punctured by the surgeon's instrument causing her body to become septic. As a woman in my mid 50's, I understood this woman's intense desire to make changes to her physical appearance, but at what cost? 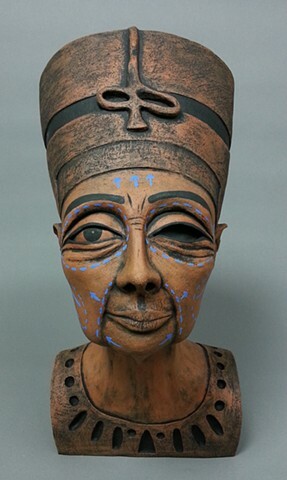 My interests in history, matriarchal societies and archeology have influenced my art making for over 20 years. 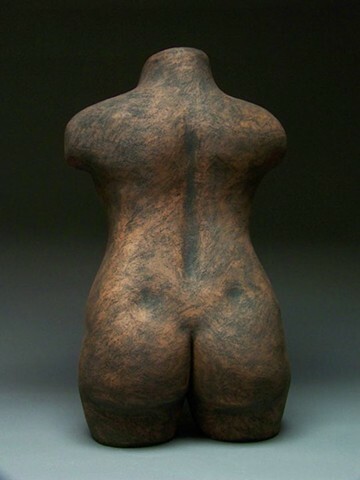 So it made sense when I started sculpting contemporary female forms influenced by the “Venus of Willendorf” figure. 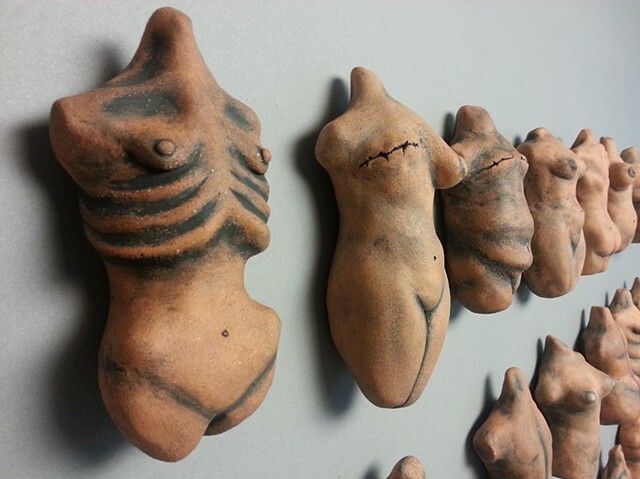 Each small torso represents a different body type or medical procedure. 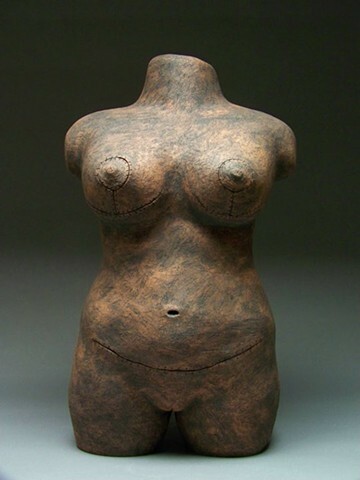 The life size fertility torso has undergone a breast reduction and “tummy tuck” in keeping with 21st c. expectations. 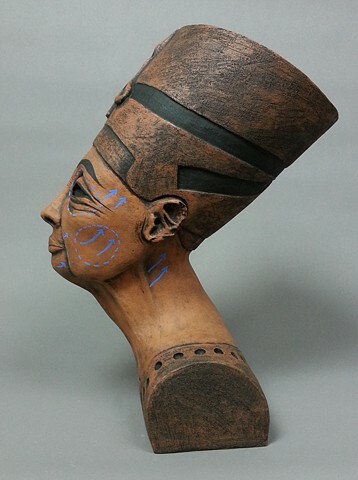 The stunning, forever young, Queen Nefertiti of Egypt has aged and is prepped for her plastic surgery procedure. Ironic, sad and perhaps dark humor, either way, females have often conformed to societies expectations. All of these sculptures are hand built and sculpted from terracotta clay. The small figures are wall mounted. 3' x 4' x 3"
19" X 9" X 14"